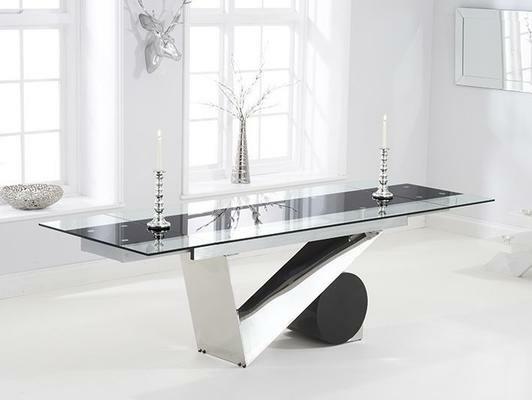 Strikingly ultramodern, the Peru glass extending dining table brings distinct style to every occasion. 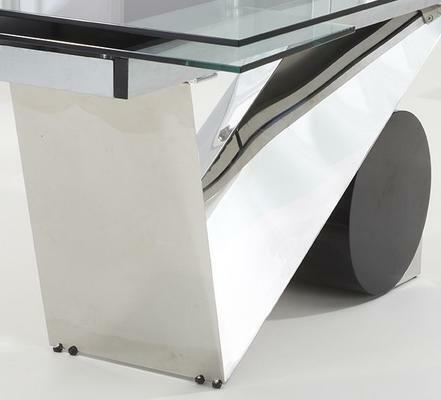 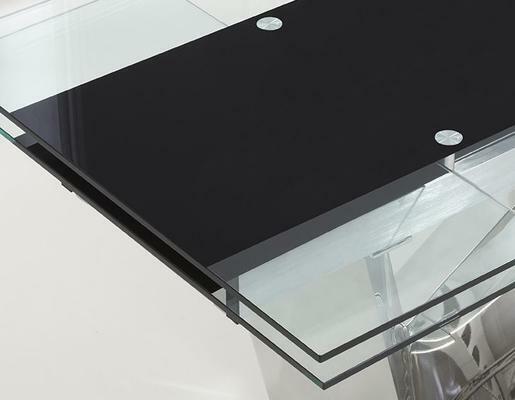 Beautifully bold, the 170cm glass top of this dining table seats 8 diners and extends to accommodate 12. Topped with a clear tempered glass surface with a black glass centre, the contemporary dining table features a stunning inverted V stainless steel leg and black painted iron spherical support. 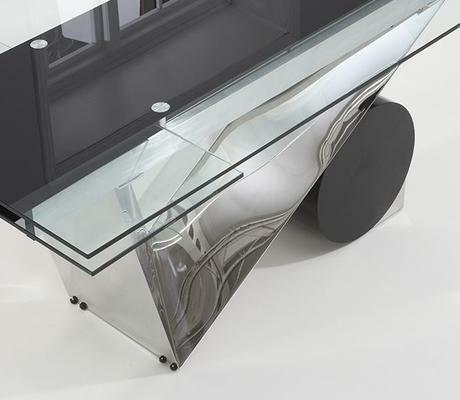 The Peru dining table extends to a generous 250cm via extensions at each end that slide out and into place.